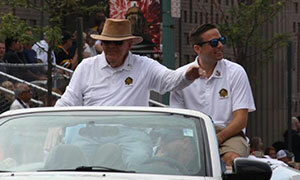 Where would the Packers be without Ron Wolf? 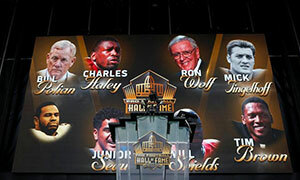 This special Hall of Fame infographic takes a look at the Packers’ success under Ron Wolf, the long list of Pro Bowl players acquired by the GM, where the Packers rank on the franchise list of all-time Hall of Famers, and which Packers Wolf is joining in the Hall. 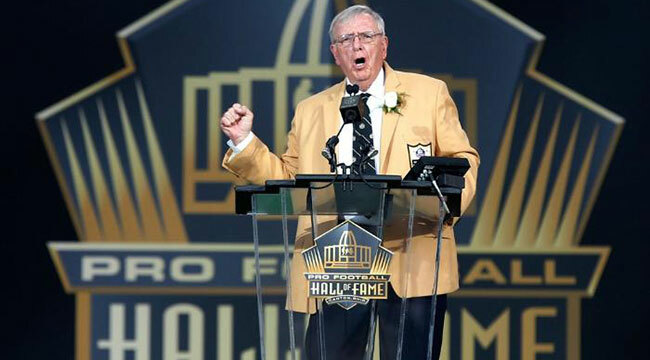 View photos of former Packers executive, Ron Wolf, giving his Hall of Fame speech. The TimkenSteel Grand Parade rode through downtown Canton on Saturday, August 8, 2015. 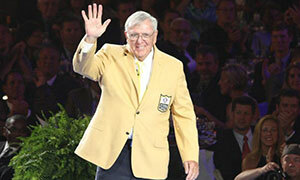 View photos of HOF Inductee Ron Wolf receiving his Gold Jacket in Canton, OH.